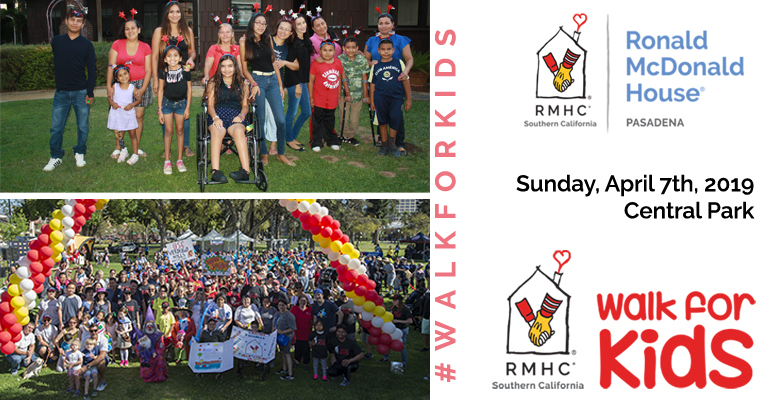 The Walk for Kids™ is a fun, family-friendly walk event designed to help raise funds for the services and programs provided by Pasadena Ronald McDonald House and the Ronald McDonald House Charities of Southern California. We need your help to meet our 2019 Pasadena Ronald McDonald House goal of $135,000.00 to help the families staying at our house. Without your donation, we cannot help families during the toughest times where their child is in the hospital or battling a major childhood illness. 100% of the funds raised stay at the Pasadena Ronald McDonald House to help local families. 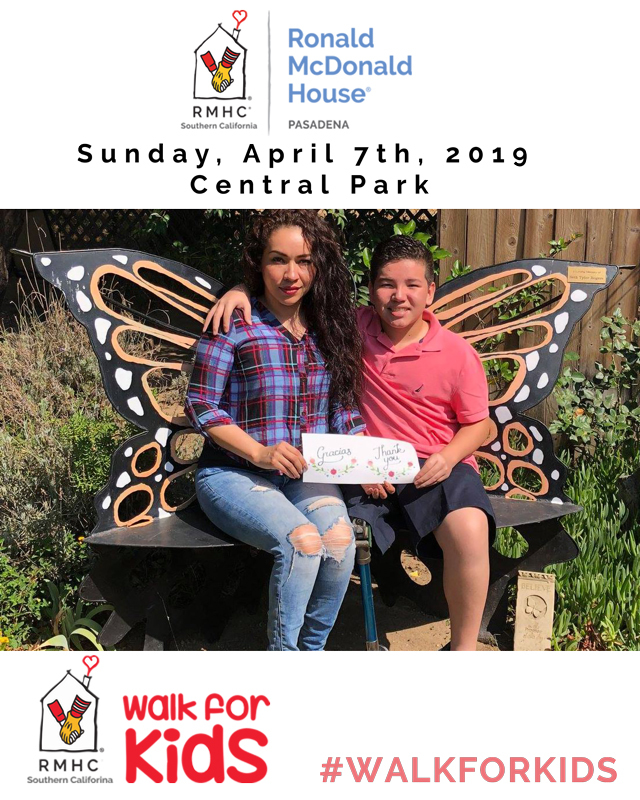 The Pasadena Ronald McDonald House Walk for Kids will take place on Sunday, April 7th, 2019 - 8:00 AM at the Central Park, 275 S Raymond Ave. Pasadena, CA 91105 . 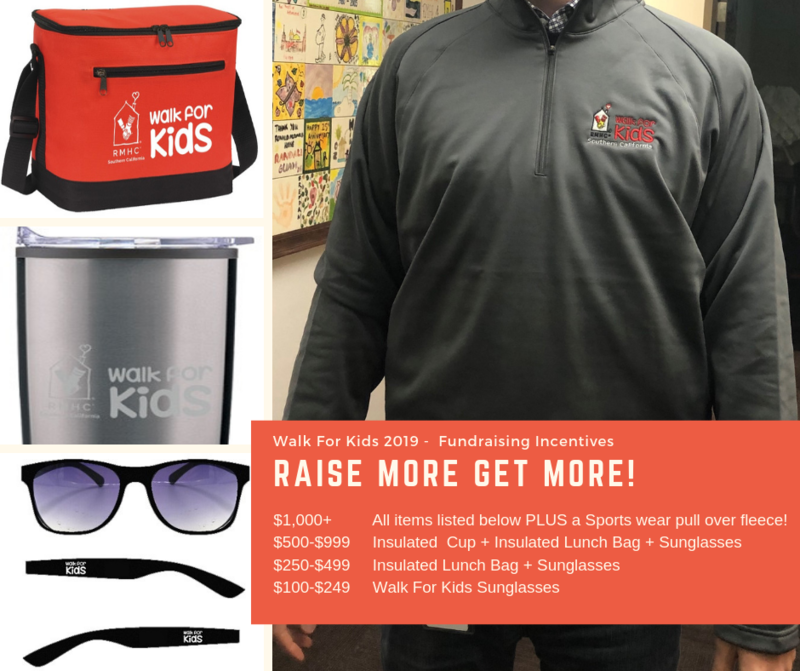 If you are unable to attend, you can donate to our event or cheer on and support other walkers and teams by clicking here. The Pasadena Ronald McDonald House goal is part of the Ronald McDonald House Charities of Southern California target to raise $2,250,000.00 so we can help families to stay near their seriously ill children at any Southern California Hospital over the coming year. Unable to join us at our Pasadena Ronald McDonald House Walk? Are you a member of larger group or business that is interested in lending a hand? Please email email Hilary Manners, Developmenet Manager at hmanners@rmhcsc.org for more information. Like to have your Company or business to help support our Pasadena Ronald McDonald House Walk? Learn about our Sponsorship Opportunities at all price levels .